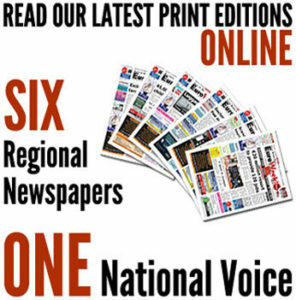 SINCE the RTN was first published on 1st October 1999 Geoff Gartland and his team spent the subsequent years establishing a newspaper that represented it’s thousands of readers, providing informative news, events and stories at a local, national and international level. After almost 15 years Geoff decided to take early retirement, signing an agreement with a third party publisher allowing them to continue to use the RTN brand, unfortunately things did not go as planned. Negotiations broke down and Geoff had no alternative but to reclaim the RTN and joined forces with the EWN Media Group, who also own another publication called the Euro Weekly News. Having sold the brand to EWN Media Group Geoff was asked to stay with the RTN and use his expertise and that of his team to bring the paper back to its former glory. Geoff said: “this is a really exciting time, particularly as we have now joined the EWN Media Group who are a very strong company. Friday’s RTN hit the streets with a bumper 56 page edition, the original design style and an extensive distribution in both North & South Costa Blanca.